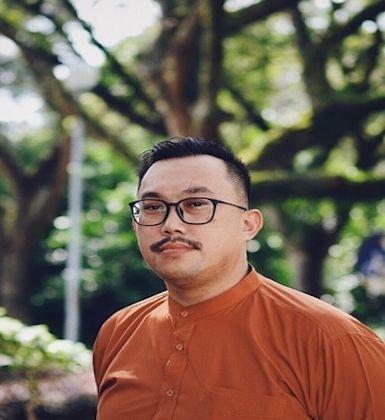 After graduating with a degree in Linguistics and Education, I started my career as a Malay Language teacher in January 2004 before joining UBD at the end of the same year. Initially, as an effect from the Y2K technological revolution, I had the interests in researching the use of technology, such as computers, mobile devices, weblogs, softwares and LMS platforms in the language classrooms. As a result, most of the time, I was given to teach courses related to technology and pedagogy; and too, other courses within my qualifications such as language forms and methods of teaching. However, when I realised that I have a passion to understanding and into the improvement of thinking skills specifically inventive thinking skills and inventive problem solving among the Bruneian students I quickly changed the course of my research. Currently, I'm still building up my presence in the area of researching thinking locally and internationally. As a start, I have written papers pertaining the teaching and learning of inventive thinking and shared findings from my research in various international conferences. In the university, I'm currently teaching a few postgraduate modules related to teaching and learning of thinking skills, the use of computers in language education and I'm also supervising postgraduate research in the Malay Language education. I'm also currently seconded to UBD Entrepreneurship Village as part of UBD initiative towards achieving UBD goals for innovation, entrepreneurship and commercialisation. Other than commitments to academic, I'm also actively involved in, and headed the university's platoon of the Royal Brunei Armed Forces Cadet Force since it was launched in 2008; outside the university, my interests is at street and landscape photography and they are incidentally linked to my passions towards inventive thinking. Barriers to Teaching and Learning Inventive Thinking. Pemerkasaan Pemikiran Inventif di Negara Brunei Darussalam: Satu Percubaan Awal Pengajaran Dan Pembelajarannya Dalam Mata Pelajaran Bahasa Melayu (2014). The Effects of Inventive Thinking Programme on Bahasa Melayu Students’ Inventive Thinking Ability and Dispositions (2015).